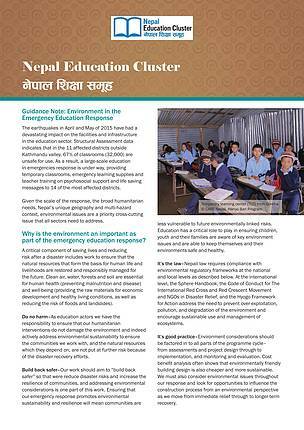 The earthquakes in April and May of 2015 have had a devastating impact on the facilities and infrastructure in the education sector. Structural Assessment data indicates that in the 11 affected districts outside Kathmandu valley, 67% of classrooms (32,000) are unsafe for use. 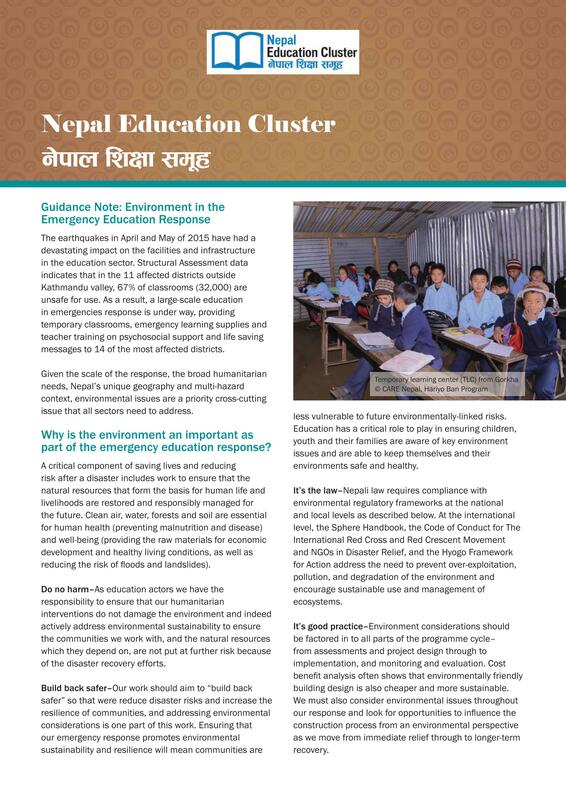 As a result, a large-scale education in emergencies response is under way, providing temporary classrooms, emergency learning supplies and teacher training on psychosocial support and life saving messages to 14 of the most affected districts.